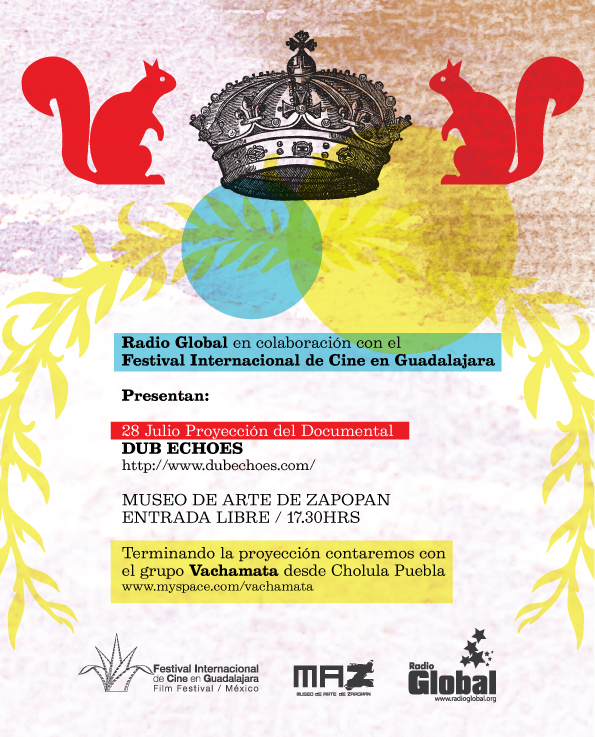 Beautiful flyer for the Guadalajara screening. Click the image to enlarge it. 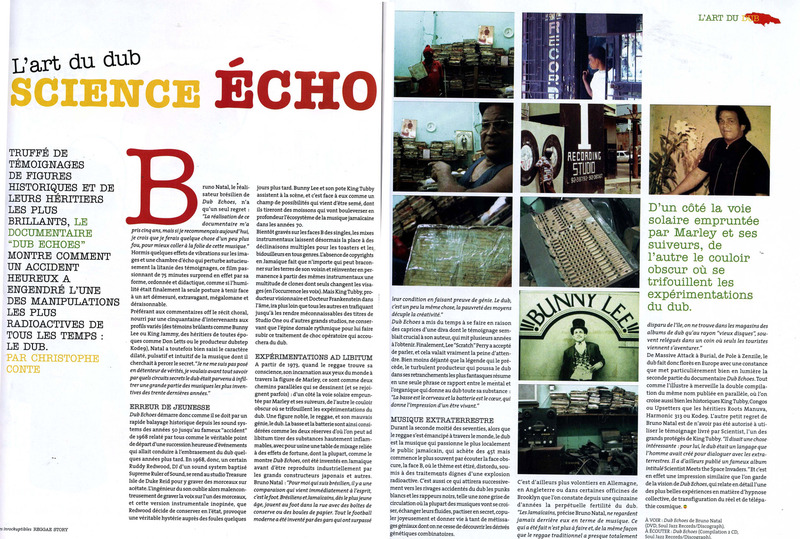 French magazine Les Inrockuptibles published an article about Dub Echoes in their Reggae Story special edition. Click on the image to read it (in French). 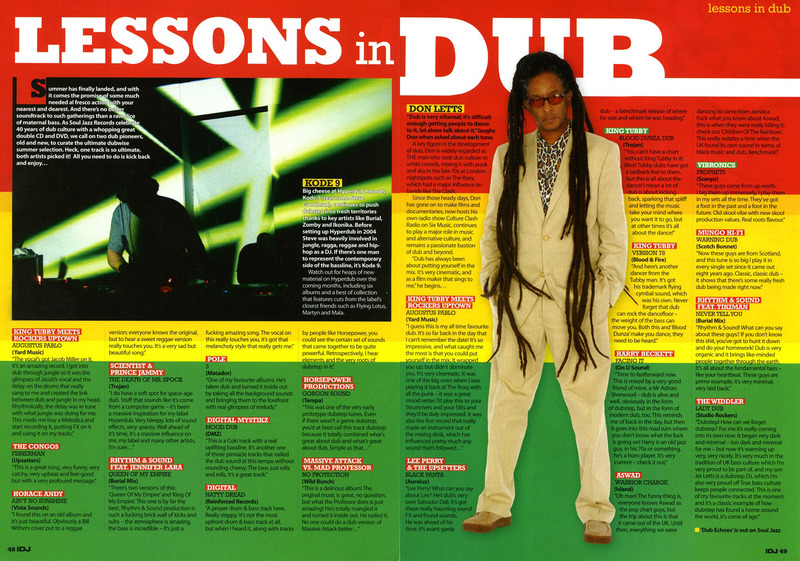 Dub Echoes was featured in a long article about dub on I-DJ magazine. Click the image to read it. 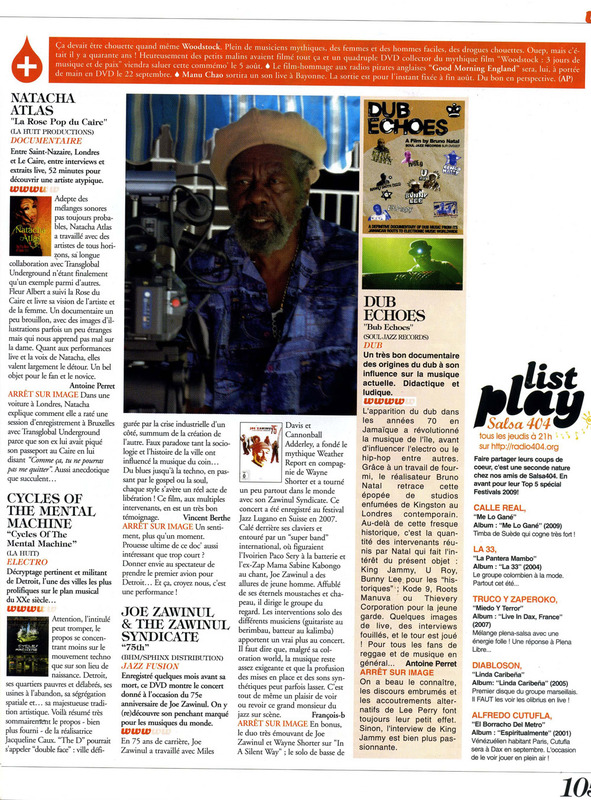 French magazine World Sound reviewed Dub Echoes. Click on the image to read it (in French). Reggae historian David Katz, one of Dub Echoes interviewees, wrote a review for Germany’s Riddim magazine. Click on the image to read it in German or here to read the review in English. 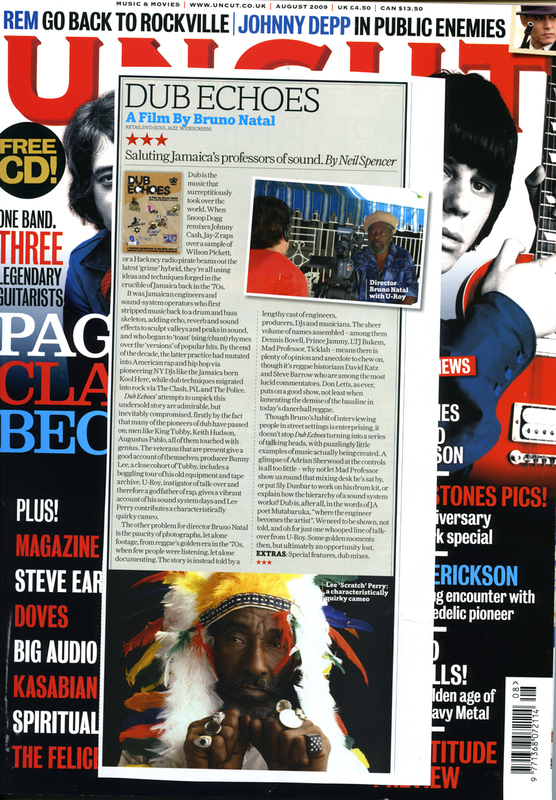 Dub Echoes was reviewed on Uncut magazine. Click on the image to read the review. 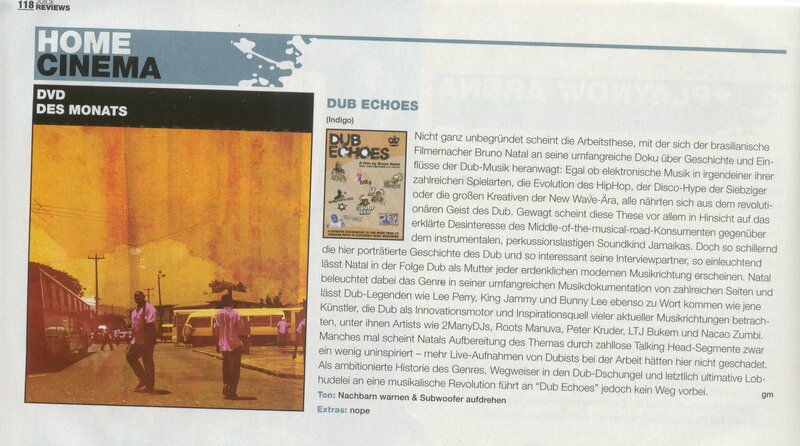 Germany’s hip hop magazine Juice reviewed Dub Echoes. Click on the image to read the review (in German).